Matching the feat of the American Women’s team on Saturday, the United States Men’s Basketball team clinched the Gold Medal on Sunday. The Americans defeated Serbia by a score of 66-96, and the game was in the bag by half-time. The United States side had taken a first quarter lead, going ahead 14-19 but a second quarter score line of 14-33 blew Serbia away. At half-time, the score was 28-52 and the outcome was never in doubt. In the third quarter, the Americans strengthened their position, with a 14-27 score. In the final quarter, Serbia final had the better of it, taking a 23-17 score to end the game but the result was done and dusted long before then. Kevin Durant has been a huge player in the tournament and he provided 30 points in the Gold Medal match for the United States. The leading point scorer for Serbia was Nemanja Nedovic, who served up a total of 14 points in the Final. Klay Thompson grabbed 12 points in the Final while DeMarcus Cousins provided 13 points in the win. This was the 15th title for the United States side and their third triumph in a row, joining 2008 and 2012 in a consecutive run of Gold Medals. In the earlier game, Spain managed to clinch the Bronze Medal in a highly exciting match, defeating Australia by a single point. The first quarter was taken 17-23 by Spain, ensuring they clinched the Race to 20 Points bet but Australia rallied in the second quarter, taking that by a score of 21-17. This resulted in a half-time score of 38 – 40 in favour of the Spanish side. This lead was extended to three points at the end of the third quarter with a 26-27 score. In the final quarter, Australia carried a 24-22 result but these two points were not enough to square the match, allowing Spain to clinch victory by the narrowest of margins. This was a game featuring two of the big scorers of the tournament and they had a battle of their own on the court. Patty Mills was a big factor in Australia getting to the Bronze Medal match and he delivered 30 points in the loss. 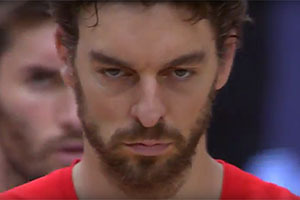 However, Pau Gasol, who has been hugely influential for Spain, managed to serve up 31 points in the match. Gasol also provided 11 rebounds, ensuring he finished on top of the pile for Rebounds in the tournament.